Our Motivation: To Make Smiles Happen While Supporting the Growth of Healthy Kids in Carpinteria. Our Mission: To Be Your Party Rental Company in Carpinteria for Life! Our Goal: To Provide You with Safe, Dependable, Attractive & High-Quality Inflatable Jolly Jumpers and Slide Rentals in Carpinteria. from the inflatable industry in Carpinteria! We have a full-time Event Coordinator to make sure your special event happens the way you want it. Our phones are open and staffed from 8:00am to 9:00pm 365 days a year. Call us now, you will not be disappointed! All of 101 Jumpers’ Inflatable Jolly Jumpers, Jumps, Bouncers, Bounce Houses, and Water Slides Rentals in Carpinteria are 100% clean, fully insured, and ready to be delivered to your desired location. But most importantly they are “lead-free” in compliance with California and Federal law. We’ve heard many stories about how many of our competitors fail to clean, inspect and/or repair their equipment. At 101 Jumpers, our equipment is cleaned and sanitized before each rental. We put great effort into inspecting our bounce houses and maintaining them properly – so you and your kids can bounce around completely worry-free. With a full-time Events Coordinator and a large staff of friendly local drivers, you can be assured that we will deliver on time. We even keep two backup drivers on call to handle emergencies and/or last-minute calls. Throughout the years, we've become known as “life-savers” for rushing rentals to worried customers in Carpinteria who are experiencing "no-shows" from our competitors. You can count on 101 Jumpers in Carpinteria even for last-minute rental decisions! You wouldn't ride in an airplane with an unlicensed and uninsured pilot. And you wouldn't buy eyeglasses from someone on a street corner. When you choose 101 Jumpers Party Rentals you are promoting legitimacy and responsibility in Carpinteria. For your protection, we are fully licensed and insured in the Carpinteria area, and we can deliver in parks. 101 Jumpers Delivers Healthy Fun! Studies have shown that the average person burns up to 700 calories in a single hour of play in an Inflatable Jolly Jumper. For this reason, we support the growth of healthier kids in the Carpinteria area. 101 Jumpers are perfect for birthday parties, neighborhood BBQ’s, family reunions, weddings, corporate, religious, organization and school events, Our popular line of licensed products and variety of styles will make your special event one to remember. We Do Inflatable Party Rentals in Carpinteria with Safety in Mind! Our Trademarked 101 Jumpers rentals are approved for both indoor and outdoor use. They meet ASTM requirements, state and federal lead-free requirements, come standard with a 15 oz. lite n’ strong™ fire retardant vinyl materials that meet or exceed the NFPA701 large scale tests. Our rentals are made to specific manufacturers’ specifications. Our 101 Jumpers’ Rentals are made from finest fabrics in order to provide you with the confidence you need to ensure the safety of your children. 101 JUMPERS brings you the best party rentals in Carpinteria! Fill up your entire backyard with a giant dry or water slide rental. Our "Volcano" slides will leave every one of its riders screaming... for more! It's the perfect slide for a big event, or for the entire family. Or rent something smaller, like our "Lil’ Splash" slide. It’s perfect for any size gatherings, big events or just to cool off in the hot summer. Party rental requests must be made at least 2-3 weeks in advance to ensure that your Rentals are available. 101 Jumps. 101 Jumpers. 101 Bouncers. 101 Bounce Houses. 101 Jumps. Party Rental. 101 Jumpers Party Rental. 101 Inflatable Rentals. 101 Bouncers for Rent. 101 Bounce Houses for Rent. 101 Jolly Jumpers for Rent. 101 Waterslides Rentals. Event rentals Carpinteria. Party rentals Carpinteria. Party rental equipment Carpinteria. Bouncer Rentals Carpinteria. Jumpers for rent Carpinteria. Inflatable slide rentals Carpinteria. Event rentals Carpinteria. Bouncers for rent Carpinteria. Carpinteria Jolly Jumpers for Rent. Table & Chair Rental Service. Waterslide rentals Carpinteria. Inflatable rentals Carpinteria. Table rentals Carpinteria. Carpinteria bouncer rentals. Moon bounce rentals Carpinteria. Inflatable water slides rentals Carpinteria. Tables & Chairs for Rent in Carpinteria. Chair Rentals Carpinteria. Carpinteria Water Slides for Rent. Bouncers with slides rentals Carpinteria. Carpinteria Jolly Jumper Rentals. Inflatable Jolly Jumpers rentals Carpinteria. Carpinteria Bounce House Rentals. Bounce house rentals Carpinteria. 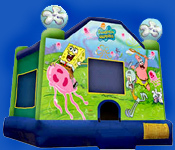 Inflatable jumping houses rentals Carpinteria. Inflatable Bouncers rentals Carpinteria. Inflatable rentals Carpinteria. Event planning rentals Carpinteria. Bounce Jumpers rentals Carpinteria. Jolly Jumper rentals Carpinteria. Chair rentals Carpinteria. Jolly Jumpers for rent Carpinteria. Inflatable bounce houses for rent Carpinteria. Cotton candy machine rentals Carpinteria. Tables for Rent Carpinteria. Carpinteria Inflatable Rentals. Inflatable bounce jumpers rentals Carpinteria. 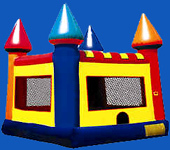 Jumpy house castles rentals Carpinteria. Jumper rentals Carpinteria. Chairs for Rent Carpinteria. 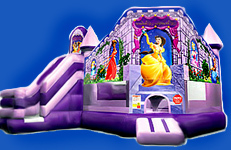 Inflatable castle rentals Carpinteria. Bouncer rentals Carpinteria. Event planning rentals Carpinteria. Inflatable moon bounce rentals Carpinteria. Water jumper rentals Carpinteria. Jump house for rent Carpinteria. Round tables for rent Carpinteria. Tables & chairs for rent Carpinteria. Jolly Jumper rentals Carpinteria. Jumpy castle rentals Carpinteria. Party rentals Carpinteria. Jumpers with waterslide rentals Carpinteria. Water bouncer rentals Carpinteria. Inflatable water slide rentals Carpinteria. Table cloth rentals Carpinteria. Bouncy house castles rentals Carpinteria. Bouncy jumper rentals Carpinteria. Inflatable bouncy jumpy for rent Carpinteria. Inflatable Jumpers rentals Carpinteria. Bouncy jumpers for rent Carpinteria. Bouncy house rentals Carpinteria. Jolly jumper rentals Carpinteria. Bouncy jumper for rent Carpinteria. Waterslides for rent Carpinteria. Inflatable bouncy castles for rent Carpinteria. 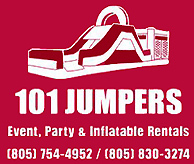 Bouncy jumpers for rent Carpinteria. Party Rentals in Carpinteria. Cotton candy machine rentals Carpinteria. Jolly jumpers for rent Carpinteria. Inflatable castles for rent Carpinteria. Inflatable jumping houses for rent Carpinteria. Carpinteria Bouncer Rentals. Party inflatable rentals Carpinteria. Inflatable jolly jumper rentals Carpinteria. Inflatable bouncy jumpy rentals Carpinteria. Chair rentals Carpinteria. Bouncer rentals Carpinteria. Cotton candy machine rentals Carpinteria. Moon bounce for rent Carpinteria. Moonwalks for rent Carpinteria. Inflatable water slides for rent Carpinteria. Bounce house for rent Carpinteria. Inflatable jolly Jumpers for rent Carpinteria. Carpinteria Party Rental. Bouncers with slides for rent Carpinteria. Party planning rentals Carpinteria. Popcorn machine for rent Carpinteria. Cotton candy machine for rent Carpinteria. Inflatable Bouncers for rent Carpinteria. Sno-Kone machine for rent Carpinteria. Table chair rentals Carpinteria. Jumpy house castles rentals Carpinteria.